On December 21st, 1937 my world changed. Â Hmmm, well, now that I think of it, it wasn’t really my world yet! Â This day marks the premiere of Snow White and the Seven Dwarfs. Â It wasÂ the first full-length cel-animated feature in motion picture history, as well as the first animated feature film produced in America, the first produced in full color, the first to be produced by Walt Disney, and the first in the Walt Disney Animated Classics canon. Â I knew that it was I wanted to do. Â I grew up watching these animated features and explaining to everyone that I knew that my life’s ambition was to be a Disney animator. Â Well, I went to college for a semester, then spent 2 years as a missionary in Japan, returned home, finished another semester of college, changed majors, changed schools, changed majors, got married, and then graduated with a Fine Arts Degree from Arizona State University. I interviewed and has a portfolio review at Disney but it didn’t go anywhere. Â Fox Animation Studios set up shop in Phoenix and I met with people, toured and tested for positions, but I never made it there either. Â I settled into a job working to create graphics and illustrations for online training courses, but it was NOT traditional animation. Â I’ve worked to at this job for 10 years now, and I’m slowly starting to work my way into doing my original dream. Â It’s not quite traditional animation, but I’m having a blast drawingÂ Star Wars! On a side note, after Snow White was released, Walt Disney saw a need to expand the studio and he used the profits from Snow White to build this studio in Burbank. 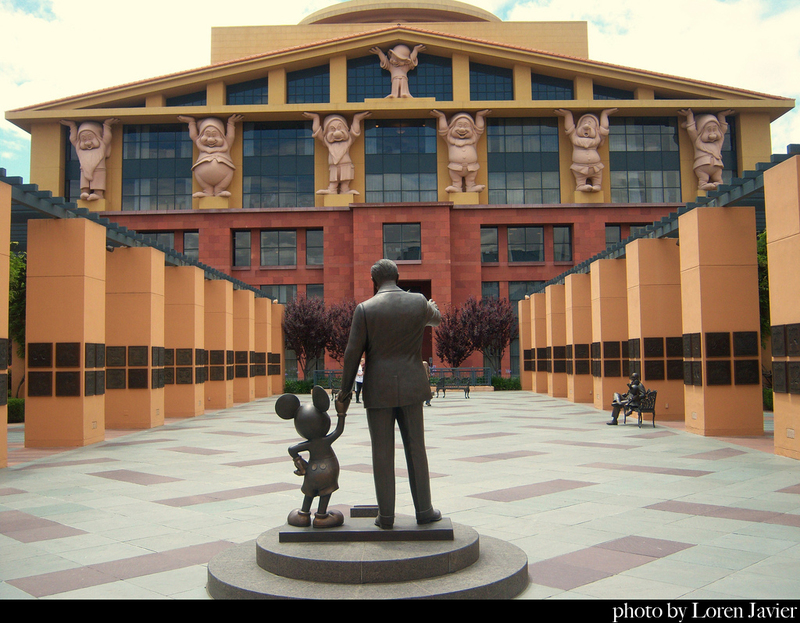 Â The success of Disney animation is built upon the Seven dwarfs so they are shown holding up the roof on the main administration building. Thanks Uncle Walt! This station is now the ultimate power in the universe.